The times they are a'changing, especially when it comes to how Americans view the food they eat. As a result, some long-established corporations are feeling the pain. For many consumers, traditional food products, and the way they have long been produced and prepared, just won't do anymore. Consumers are demanding fresher, purer and more exotic meals. Food and beverage corporations slow to react are paying a price. Demand for organic products has skyrocketed in the last decade. Bloomberg News reports demand for organic milk is so strong that supermarkets and co-ops can't keep it in stock. Citing industry sources, the U.S. Department of Agriculture (USDA) reports organic products are now available in nearly 20,000 natural food stores and nearly 3 out of 4 conventional grocery stores. Organic sales account for over 4% of total U.S. food sales and continue to grow. Organic is a labeling term that indicates that the food has been produced through approved methods. These methods integrate cultural, biological, and mechanical practices that “promote ecological balance, and conserve biodiversity.” What they don't include are synthetic fertilizers, sewage sludge, irradiation or genetic engineering. 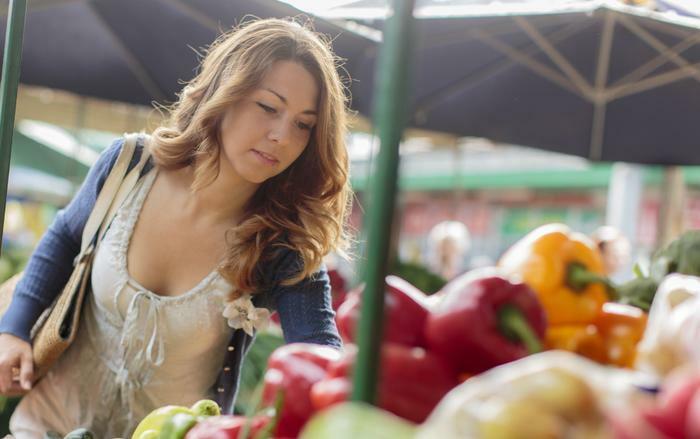 Despite the almost always higher cost for an organic product, consumer demand is growing. While organic food may not be any more nutritious than conventionally-produced food, the organic industry says it is safer, free of pesticides and synthetic fertilizers. Consumers who value that are the ones driving this growing trend. The second major trend causing ripples in the food industry is the recent enthusiasm for “locally sourced” and its counterpart – “responsibly sourced” – food. You find it at both supermarkets and restaurants. Both restaurants and supermarkets have made a virtue of promoting where the food they offer comes from. If it comes from a small, nearby farm, so much the better. Ellwood Thompson's, a Richmond, Va., natural foods market, actually has a rating system for its meat and produce, with the highest ratings going to the small farmers that are nearest and that use the purest production methods. While locally sourced food might be fresher, there are probably political and economic values underlying this trend. Consumers who value locally sourced food also like to support small, independent farmers instead of huge corporations. They are also more likely to drink a local “craft” beer instead of a brew from a major brewery like Anheuser-Busch. Interestingly, that company used the Super Bowl to air an in-your-face response to this segment of the market. Consumers today also hunger for something beyond the ordinary. As a result, exotic new concoctions were the hit of the recent Winter Fancy Food Show, sponsored by the Specialty Food Association. The challenge for food industry giants who operate on a massive scale is evident in many of todays emerging food trends. How they respond may have a lot to do with whether they continue to be giants. Can "organic" food be verified? Organic-farm foods: healthy or overhyped?